Previous Article How can high-capacity microwave drive 5G deployment? The joint report identifies a number of emerging opportunities and use cases that the industry can benefit from through the convergence of 3GPP’s 5G and Wi-Fi, driven by the ever-enhancing capabilities of licensed and unlicensed technologies. 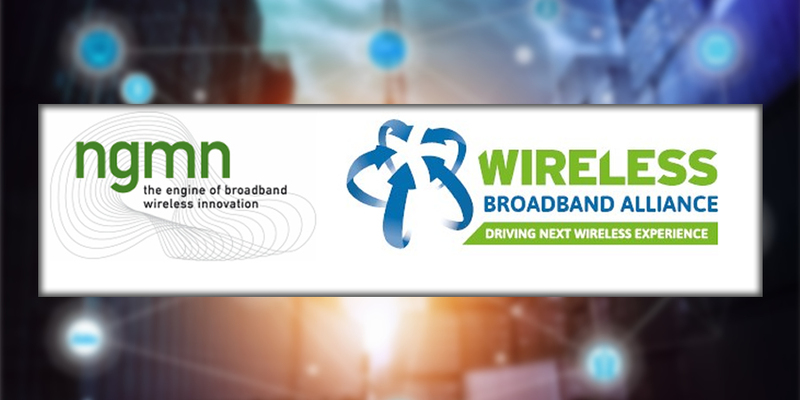 However, as society increasingly depends on fast reliable data connectivity, NGMN and WBA believe an important capability for the industry is the convergence at a network level between 5G and Wi-Fi, so that the unique and complementary capabilities of both RANs can be leveraged to provide seamless network services. Bearing in mind that there is a significant amount of data traffic from smartphones use a Wi-Fi access, this will lead to a better user experience and create new business opportunities for both Wi-Fi and cellular providers. The report identifies a number of use cases and verticals that may require combined resources from both 5G and Wi-Fi networks in providing cost effective solutions that meet diverse sets of requirements on throughput, latency, connection density, coverage, availability and reliability. For example, enterprise services on cellular networks, and in particular, those that the 5G Core enables, may require a new look at the use of an access neutral mechanism for a number of reasons. These include gaps in coverage, the proliferation of indoor and outdoor Wi-Fi deployments, and potential for multi-site enterprise environments. A number of industry developments and specifications address the interworking of 5G and Wi-Fi from a technical standpoint: 3GPP has already developed specifications to ensure tight integration of 3GPP and non-3GPP radio technologies, such as Wi-Fi. In order to better serve customers and provide the full 5G experience the tight integration of non-3GPP technologies needs to be ensured also within the 5G Core Network. Solutions enabling some of these objectives have already been adopted by 3GPP and Wi-Fi 6, such as the EAP authentication framework similar to Wi-Fi, to accommodate different wireless service subscription-types (e.g. mobile, wireless or fixed broadband) and their native authentication methods. 3GPP Release 15 provides some support for interworking between 5G and Wi-Fi. In particular, 3GPP Release 15 provides support for untrusted non-3GPP access (such as Wi-Fi) to the 5G core via Non-3GPP Interworking Function (N3IWF), with secure transport of Control-Plane/User-Plane (CP/UP) messages over an IKEv2/IPSec tunnels between the terminal devices and the N3IWF 3GPP Release 16 is continuing the work by enhancing capabilities for Wi-Fi integration, including trusted Wi-Fi support and access traffic steering, switching and splitting. However, challenges and needs remain – including the enablement of Wi-Fi only devices to connect to the 5G core, further study to ensure the tight integration between 5G and Wi-Fi networks, an interface to enable certain level of network manageability and policy control between 5G core and Wi-Fi networks, and the ability of a client to route traffic over one or more accesses, making optimal use of the available connectivity. As a next step, the WBA and NGMN are undergoing further study on these challenges in order to uncover potential solutions. This will culminate in the recommendation of a future strategy for Converged RAN deployment, ensuring the best user experience making use of both Wi-Fi and Cellular access. Tiago Rodrigues, General Manager of WBA said: “Wi-Fi 6 introduces new capabilities for carriers, cities and enterprises to cost effectively provide additional coverage and capacity, mainly indoor, to address the 5G use case requirements. Now it’s time to fully capitalize on these capabilities by delivering a clear strategic path for converged RAN deployments. This is a priority. We will continue to work closely with NGMN and its members to review, develop and test potential solutions, as identified in our recent 5G White Paper.